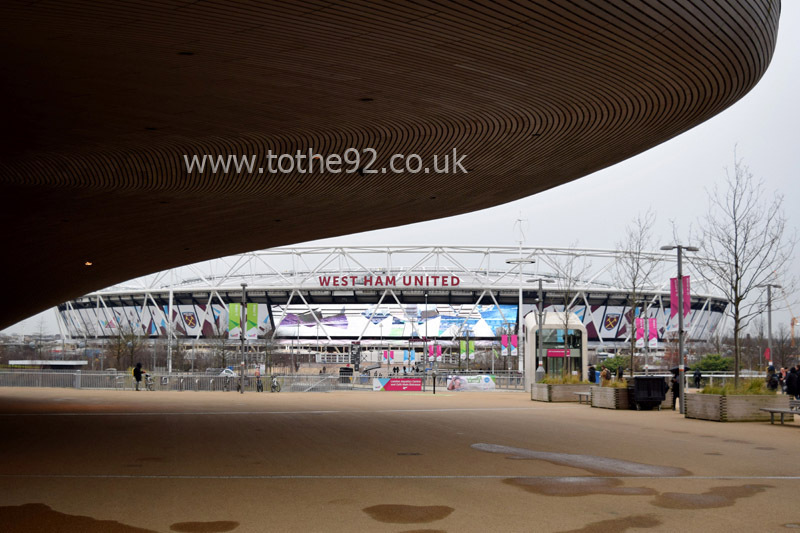 Built for the London 2012 Olympics, the London Stadium has since been converted into a football stadium and has hosted home to West Ham United since the start of the 2016/17 season. The conversion was never going to be an easy one due to the nature of the circular athletics style build. There are large gaps between the upper and lower tiers behind the goals and the lower tiers that run along side the pitch are a long way from the pitch still. However, they have made a good job of creating a homely feel throughout with West Ham logo's and memorabilia hanging from the ceilings and the clubs history adorned across the hoardings in the West Stand. There are no restricted views, plenty of leg room and a large screen at either end of the ground. 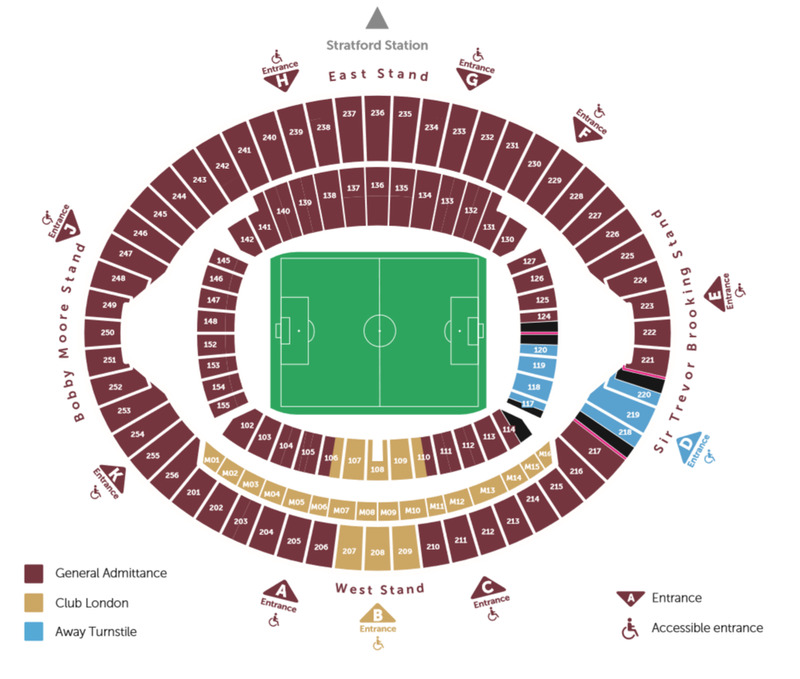 Visiting supporters are situated on the south-west corner of the Trevor Brooking stand where both the upper and lower tiers are used to accommodate. The legroom is excellent, facilities are top draw as you would expect but the seats, despite having unrestricted views are obviously a long way away from the pitch and as such the lower down you are, the worse the view. The Westfield Shopping Centre is situated right outside the stadium and hosts home to many eating and drinking establishments with 2 food courts. Upstairs there are plenty of restaurants and on the bottom floor you have KFC, McDonalds, Pizza Hut & plenty of others. Pub wise, there aren't many locally but 'The Cow' is a particular fan favourite and from here you can actually see the Stadium which shows just how close it is. The bar inside the Holiday Inn also seems to be a popular pre match drinking spot. Although expensive, there are also a wide array of food & drink stalls outside the stadium. The London Stadium unfortunately does not offer on-site parking, supporters are encouraged to take advantage of the many public transportation routes available. However, the Westfield shopping centre car park has pretty reasonable rates, especially on week nights so don't be too put off of taking the car as you will definitely find a space in there. A wide choice of train, tube and bus route options are located at Stratford and Stratford International stations, which lie a 20 minute walk away from the Stadium, Stratford station is served by Docklands Light Railway (DLR), London Underground Jubilee and Central lines, National Rail services operated by Greater Anglia and c2c and London Overground services. Stratford International station is served by Docklands Light Railway (DLR) and Southeastern High Speed 1 services. The Stadium is a 20 minute stroll from both Stratford stations, where fans can soak up the match day atmosphere while taking in views of the Olympic Park. Travel: Driving up from the South Coast was frustrating after joining the M25, 30 minute delay before our junction didn't help, onto the A2 and another hold up at the Blackwall Tunnel. We had done our research and decided to park in Bromley-By-Bow for free on the streets, from here it was a right at the end of the High Street, cross the A12 intersection and then left down by a small industrial area and a walk through the Queen Elizabeth Park. Impressions: The stadium when walking through the park looks absolutely stunning lit up in the night, I presume during the day it would look quite bland and like a white elephant. The away section is awful, despite this being a modern stadium they didn't plan it well, the gap between fans in the upper and lower tiers is woeful and you could literally fit a London Bus in there! Home fans also have this problem but it ruins the atmosphere a bit, toilets are not football toilets, having only two separate urinals which you queue so much for to enter another queue... not well thought out! Atmosphere: The game was Chelsea's poorest display of the season, we played terrible and West Ham had their killer instinct when needed..Stewards need some sort of training and adjusting to their own ground, very confusing messages when conducting with away fans. Food is lovely! Best part of the day, atmosphere was excellent until about the 80th minute after that; No comment! Anything Else: We walked from Bromley-By-Bow to the ground and was greeted by quite a few coppers to say the least! One of them told me to do up and jacket and hide my Chelsea shirt... I knew it was high risk but it ended up being damn right dangerous, stewards were confused and had no clear instructions, probably still getting used to the stadium but they had no control. Enjoy: West Ham should not had moved from the Boleyn, a lovely ground now unfortunately gone. I shall not be returning to the London Stadium for the league fixture later this season. Maybe next season but until they sort it out I'm taking a break from the London Stadium. 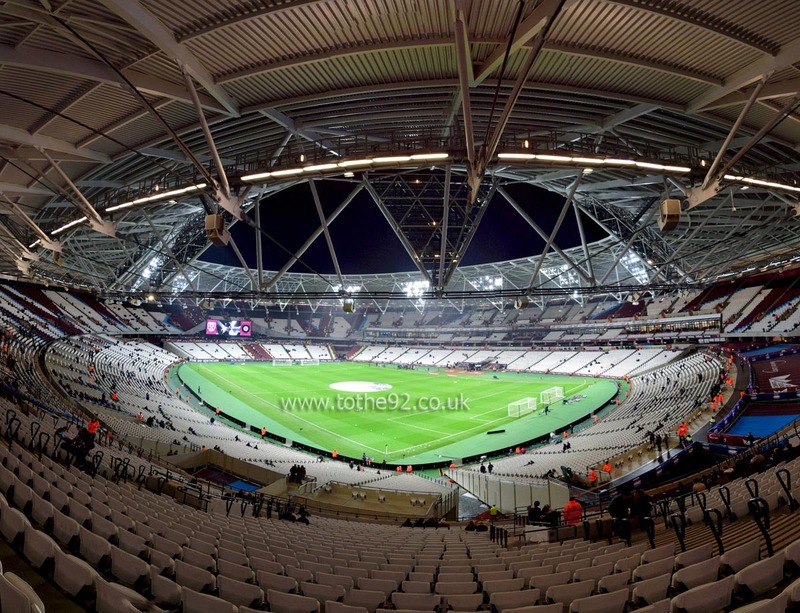 Have you been to West Ham United's London Stadium? To tell us about your experiences and to feature on the site, simply complete the fans review form below!